VOIP stands for "Voice Over Internet Protocol". It just means that you make cheap phone calls over your broadband connection and save heaps. With Yourhub's Broadband Phone you can use your conventional handset or even cordless telephones in the same way as you do now. The only difference is that your voice is converted to a digital signal as it transfers through the phone line and is sent as data via the internet rather than the conventional analogue signal. As a result your outgoing calls are not identified by your phone carrier and therefore not charged on your phone account. "Now that's clever..."
"But that's not all!" 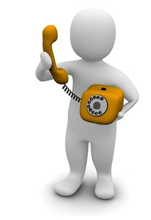 Anybody can still call your existing telephone number provided by your carrier because its still connected. It just means that you can chat longer for less and over a quality digital connection. "Yes, it's that simple and No...! !, your computer doesn't have to be turned on"
"Take a look at our call plans!" For Other Residential Plans: Click here. Local Numbers (DID): Local Numbers are available for most Australian Cities. Voice Mail: Voicemail allows you to access messages through either website GUI, A nominated Email address, and or over both your Nettalk phone or by remote access over a standard PSTN telephone. Call Forwarding: forward your incoming calls to a mobile or landline number. You can change the nominated phone number when ever you like through our website GUI. Follow Me: Nominate up to (5) different mobile or landline numbers for incoming calls to be forwarded. Your nominated numbers can be configured to ring simultaneously or to line hunt. You can change the nominated phone numbers when ever you like through our website GUI. 1Free Calls: Includes 100 free Local and / or National calls. Unused calls are not cumulative to the following month and are lost. *All Yourhub Broadband Phone customers can call other Yourhub Broadband Phone customers free. Local Numbers (DID): $12.00 p/month. Call Charges: Timed calls are charged per 30 sec intervals and a minimum charge of 1 min. Early Termination: Cancellation prior to the end of the contract date for standalone service will incur a termination charge of $120.00. Bundling: When bundling Broadband Phone with Internet packages a 24 month contract applies. *Minimum internet speed of 512kbps recommended when using Youtalk Broadband Phone (VoIP).